Autobiography is a literary genre which Western scholarship has ascribed mostly to Europe and the West. Countering this assessment and presenting many little-known texts, this comprehensive work demonstrates the existence of a flourishing tradition in Arabic autobiography. Interpreting the Self discusses nearly one hundred Arabic autobiographical texts and presents thirteen selections in translation. The authors of these autobiographies represent an astonishing variety of geographical areas, occupations, and religious affiliations. This pioneering study explores the origins, historical development, and distinctive characteristics of autobiography in the Arabic tradition, drawing from texts written between the ninth and nineteenth centuries c.e. This volume consists of two parts: a general study rethinking the place of autobiography in the Arabic tradition, and the translated texts. Part one demonstrates that there are far more Arabic autobiographical texts than previously recognized by modern scholars and shows that these texts represent an established and—especially in the Middle Ages—well-known category of literary production. The thirteen translated texts in part two are drawn from the full one-thousand-year period covered by this survey and represent a variety of styles. Each text is preceded by a brief introduction guiding the reader to specific features in the text and providing general background information about the author. 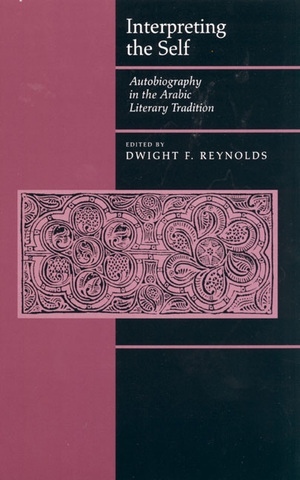 The volume also contains an annotated bibliography of 130 premodern Arabic autobiographical texts. In addition to presenting much little-known material, this volume revisits current understandings of autobiographical writing and helps create an important cross-cultural comparative framework for studying the genre. Dwight F. Reynolds is Associate Professor of Arabic Language and Literature in the Department of Religious Studies at the University of California, Santa Barbara.